« How to implement a Successful Website Redesign? 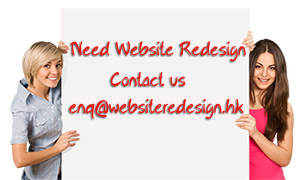 Are you planning to redesign your website? One of the first things you should know is that it pays to hire a website redesign company instead of entrusting all the work to just one person like a web designer. Gone are the days when the same person is in charge of the web design, copywriting, and development of the website. Due to the critical nature of website redesign, companies that offer website redesign services now have specialized teams composed of professionals who perform specific tasks. Usually, a website redesign team is composed of a creative or marketing director, project manager, web designer, web developer, SEO strategist, and copywriter. Each position has specific roles, although it is also common that some professionals can take on multiple tasks. For instance, the web designer and web developer can be the same person. A creative or marketing director is the person who’ll ensure that the strategic marketing objectives of the client are met. This professional will also see to it that your brand is improved and highlighted in the web redesign initiative. The project manager is the person who’ll be there for you to contact on a day-to-day basis. He or she will manage the entire website redesign process. This is the same person who’ll make sure that the process moves along promptly by setting schedules and seeing that everyone on the team beats the deadlines you’ll agree upon. The web designer is the person whose primarily role is to determine the look , feel, and functionality of the website. On the other hand, the web designer will build codes and test the website, seeing to it that the functionality requirements of the client are met. This person may also recommend hosting arrangements for the new website. The team is also composed of the SEO strategist, who would be conducting research specifically on the appropriate keywords for your website. Keep in mind that search engine optimization is critical if you want your website to rank highly on the search engine results pages. Higher rankings usually translate to higher traffic. Finally, there’s the SEO copywriter who creates and edits contents like articles where the SEO keywords are integrated. It is also a usual practice to have the same person perform the role of SEO strategist and copywriter. There are several processes that you’ll have to go through together with the web redesign team. These include determining the objectives of the web redesign project, researching on the SEO keywords, and planning the design and content of the website. Other processes that you’ll have to work with include the coding and testing of the new website design, and the launch which includes submitting the site map to Google and other search engines.